Warren says by doing that, people are not only supporting Rochester's entrepreneurs, they are supporting the entire community by helping foster job creation. Merchants and business associations will be able to submit their shopping events for consideration for city sponsorship. Up to four eligible events will be selected to get help from the city such as design and printing services and reduced special events fees. Warren kicked off the effort Saturday at the South Clinton Merchants Association's "South Clinton Goes Batty" celebration. 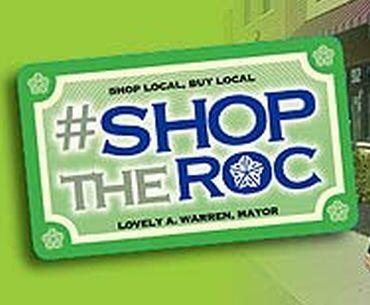 Shoppers are encouraged to post 'selfies' or photos from local stores using the tag #ShopTheROC on Facebook, Twitter and Instagram.